Tired of Salads? Try This! Salads can be very boring. In fact sometimes I find that I stop eating them because they’re not appealing. I know it’s surprising to hear that from a dietitian! Well the other night, my husband requested salad and I came up with a winning combination that left both our taste buds and tummies satisfied! I dressed my salad after I took the photograph. I used a little bit of Annie’s Goddess dressing thinned out with balsamic vinegar. I absolutely love this salad dressing but be careful because it’s quite calorically dense at 120 calories per serving. A little goes a long way! Have you ever had wheat berries before? I bought hard red winter wheat berries from my local supermarket (Fairway) and simmered them in water for about 1 hour until they had the right chewiness texture to them. They are so delicious! What’s your favorite salad combination? 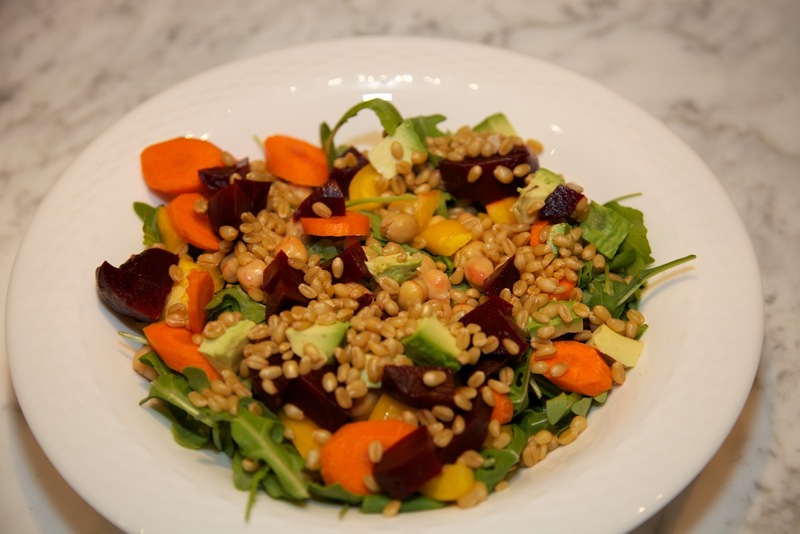 Have you ever had wheat berries before? Are you worried that you’ll have to give up your morning cup of joe habit while breastfeeding? Yesterday I told you about why coffee can be good for you. I’ve also told you about coffee safety during pregnancy. But what about while nursing? A cup of coffee while breastfeeding is fine! In fact it’s probably very welcomed after sleepless nights. As babies age they might be able to tolerate it better. So if you try having a cup of coffee and you know right away tht your newborn is not tolerating it, try again in a few months. Remember moderate intake is considered 300 mg/day. Try to limit yourself to one cup each day. I love my morning cup of coffee. I have it right after I feed my daughter in the morning. My morning cup of joe is probably what gets me out of bed in the morning. Well that and my 6 month old daughter “telling me” that it’s feeding time. I gave up coffee during my pregnancy. Not that you have to, but it sort of made me nauseous and I was able to phase it out and had a few decaf lattes when I was craving a warm drink. However, sleepless nights as a new mom got me back into my old habit and I’m here to tell you it’s not a bad thing to drink coffee! some studies have shown that coffee drinkers are less likely to have type 2 diabetes, Parkinson’s disease, and dementia. some studies have also shown that coffee drinkers have a lower incidence of some cancers, heart rhythm problems and strokes. it contains antioxidants which can fight off the bad free radicals roaming in your body. 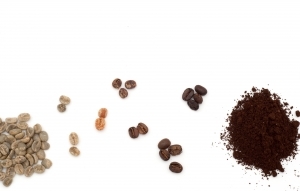 There are a few substances in coffee that have been shown to slightly increase cholesterol. Filtered coffee removes these substances but they are not removed in the french press or espresso drinks. 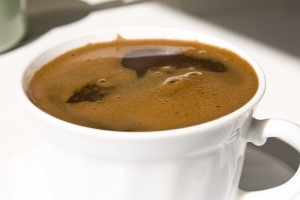 Don’t become a coffee drinker just to reap the benefits. Watch out for the coffee add-ins: the milk and creamers and sugar can turn this rather good beverage into something very unhealthy. Choose fat free or low fat milk and limit sugar. Make your own coffee you will save a ton of money and you will help save the environment by not using the throw away cups! Tomorrow’s Post: Can You Drink Coffee while Breastfeeding? 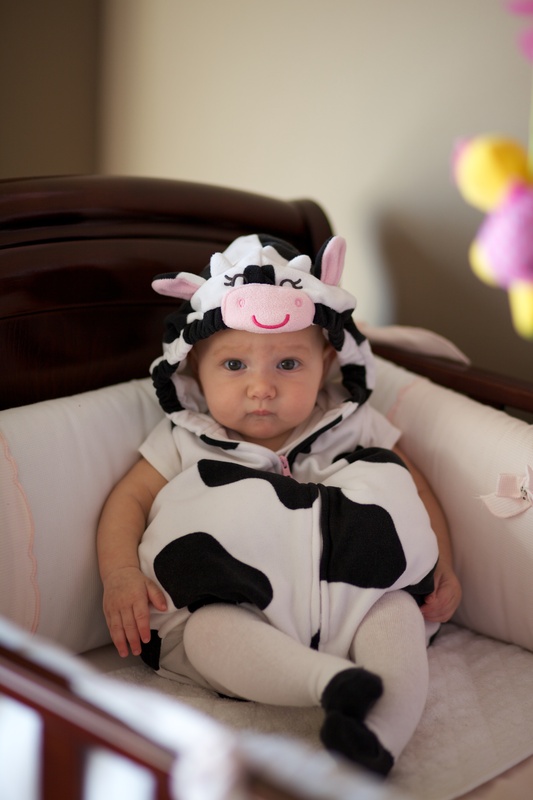 Foods to Avoid Feeding Your Baby! Feeding your baby can be a very exciting time. Before you start giving him or her everything in your kitchen, know which foods you should avoid for at least the first year. Be careful with anything round and firm! These foods are the most likely to cause allergies. Many people recommend waiting till your baby is 12 months of age to introduce these foods (egg yolks are fine to be introduced earlier). However, studies have shown that waiting to introduce these foods does not decrease the risk of developing an allergy. So if you come from a family without food allergies and get the ok from your pediatrician to start these beforehand then go for it! Remember to always wait 2-3 days after introducing each new food to look out for any allergic reactions. I think a lot people are curious as to what is inside a dietitian’s fridge. I like buy a variety of foods to keep things interesting, however, there are definitely staples that I almost always have. Hummus is a spread that is made of chickpeas, tahini (sesame seed paste), garlic, lemon juice, and olive oil. 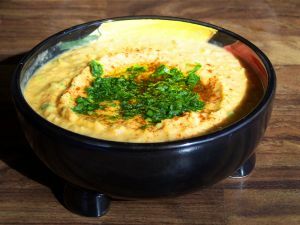 There can be variations of hummus with additions of roasted red peppers, spicy peppers, extra garlic or lemon juice, and many more. Why do I love hummus? My favorite kind is Sabra…but do note that it has more calories and fat than the others. That’s why it tastes so yummy! It has about 80 calories per serving verse the 40-50 calories that most brands have. Even though hummus is a health food you can definitely overdo it! Each container has 8 servings, which adds up to 320-640 calories for the whole thing! Portion out a proper serving on a plate and then dip away. What’s your favorite type of hummus? 100% fruit juice has a lot of the nutrition components of actual fruit. You are getting various vitamins, minerals and antioxidants. If you love juice then you should stick to 100% fruit juice – avoid any fruit drinks and fruit cocktails that are artificially flavored water instead of actual juice. There’s nothing wrong with 100% fruit juice…you just have to be mindful of calories! Juice is fabulous for athletes and those looking to gain weight because you can add in a lot of extra calories without filling up. However, juice might not be the best choice for those looking to lose weight or those with diabetes or other sugar sensitivites. Juice does not fill you up as much as fruit will. Why is this? Juice is missing the fiber that the fruit has! So the next time you have the opportunity to choose orange juice or an orange for breakfast, choose the fruit. You’ll feel more full and have consumed less calories! There’s a good chance you will save even more calories because it’s easy to drink more than 8 oz of juice! But you probably won’t sit down to 2 or 3 oranges at a one time! If you have a really hard time giving up juice, my recommendation is to lighten it up. Take 2 oz of juice and mix it with 8 oz of water or seltzer. You will get accustomed to the less sweet taste over time. Do you drink juice on a daily basis? Are you feeling completely exhausted this morning? Did you totally overdo it on the halloween treats this weekend? If so, do not give into depriving yourself today to makeup for it! I’m going to hit the gym hard! If these are your thoughts, you may want to rethink your plan. By skipping meals and eating very lightly but working out hard you are going to be starving, lightheaded and without energy by the evening. Then all your plans to “be good” will go down the drain. Do not skip breakfast! If you’re not hungry have something small like a piece of fruit with a few nuts. Try to get in some fiber and protein. Have a balanced lunch: vegetables, lean protein, whole grains and some healthy fat. Enjoy a healthy afternoon snack: an easy idea would be low fat cheese plus a piece of fruit. Finish with a healthy but satisfying dinner: a big salad to start, lean protein, whole grains and vegetables. One thing you can do is skip the treat today since you did have enough this past weekend. Forgo the wine, the extra bread and the sweets that you may normally partake in. You’ll feel so much better tomorrow morning if you follow these tips! 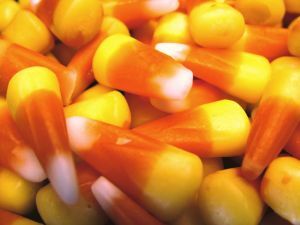 What was your favorite halloween treat? For me it was the buckeye I had at a halloween party last night. Buckeyes are chocolate peanut butter balls…so yummy!